Comments: A readable copy. All pages are intact, and the cover is intact (However the dust cover may be missing). Pages can include considerable notes--in pen or highlighter--but the notes cannot obscure the text. Book may be a price cutter or have a remainder mark. 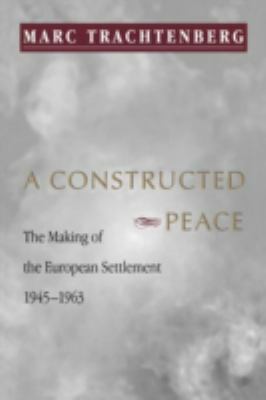 Trachtenberg, Marc is the author of 'Constructed Peace The Making of the European Settlement, 1945-1963', published 1999 under ISBN 9780691002736 and ISBN 0691002738. Loading marketplace prices 137 copies from $9.68 How does the rental process work?